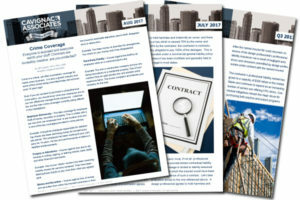 Cavignac & Associates publishes bimonthly and quarterly newsletters for clients. If you would like to receive e-mail links to our newsletters, please click on the “sign up” link of the type of newsletter you are interested in on the appropriate newsletter page. For our past newsletters, simply click on your area of interest. If you would like to unsubscribe from our e-mail lists or if you have questions about our newsletters, please click here for more information.